The U.S. economy is strengthening. In fact, according to the Wall Street Journal, economists are predicting that the U.S. will reach a state of ‘full’ employment, a term used to describe an economy in balance, where virtually all who are willing and able to work are employed. So what does this mean for employers and how should they prepare? Advanced Resources recently released an executive brief, "Full Employment: What You Need to Know" (download it here) to help employers learn the tools they’ll need to win the war for talent in the full employment battlefield. 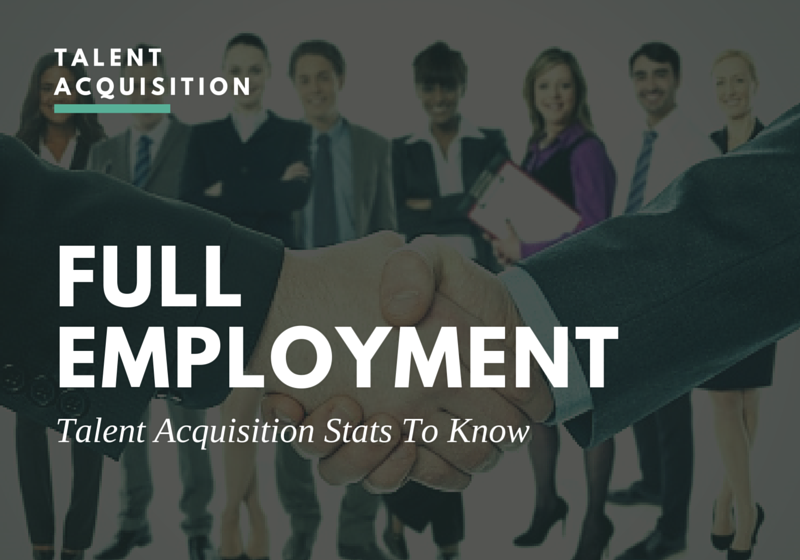 Here are some important talent acquisition stats to get you started. Be prepared for Full Employment. Download Advanced Resources' new executive brief, "Full Employment: What You Need to Know," here.